2 pieces of fabric (a front and back) the size of the ending quilt are basted and quilted. 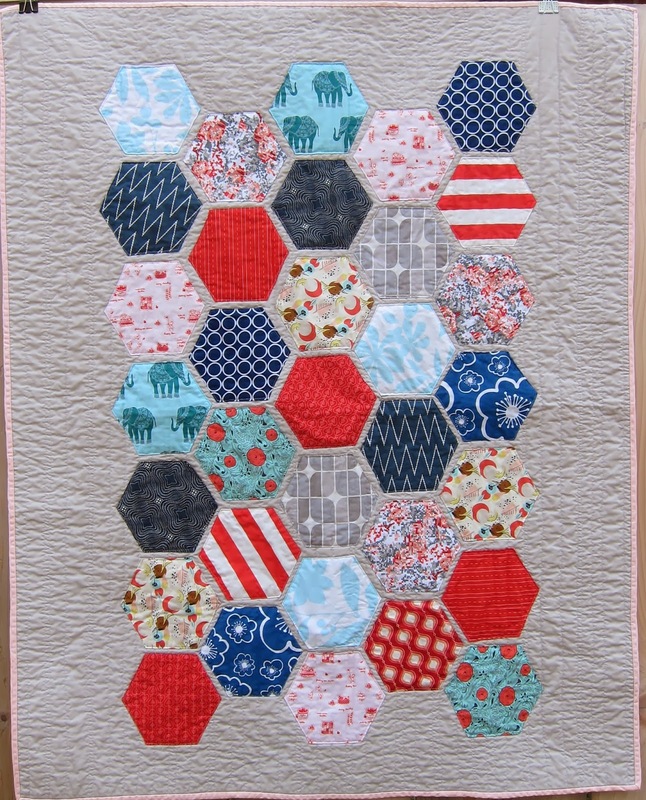 Hexi's are then appliquéd on. Em wasn't sure she liked this quilt towards the end of it's making. Then she saw the washed version and decided it was a keeper! Something magic happens in that washing machine. Now that's a hexi quilt I think I could handle. Love it! Your baby quilt turned out so pretty. I love hexies . . . how can you not, right? So true. I love it. Great quilt to work on together. It looks great. I love hexies. Small or large :-) You created nice color combo! Well done.